Born in 1924 as Russell Enoch he began acting from the age of 8. Sometimes using the acting name "William Russell" he appeared in a number of films including, in 1954, One Good Turn alongside Norman Wisdom. Further film roles followed including the 1957 film Nicholas Nickleby and the television series The Adventures of Lancelot. After Doctor Who he continued acting in the theatre and in the late eighties he became a regular in Coronation Street. He then became a member of the Royal Shakespeare Company. A science teacher at Coal Hill School, Ian Chesterton is persuaded by fellow schoolteacher Barbara Wright to investigate Susan who is one of their pupils at the school. This leads them to investigating her home which it appears, by the address she has given, to be a junkyard. Ian is very doubtful that they should be prying into Susan's private life but like Barbara he too curious about her strange behaviour in the classroom. It is because of this that the both of them find themselves inside the TARDIS with The Doctor and Susan. Fearing that his secret will be revealed The Doctor kidnaps them both by dematerialising the TARDIS. Ian finds it hard to believe The Doctor and Susan's explanation of the TARDIS as what he sees and what they tell him is at odds with his scientific background. ‘This doesn’t roll around on wheels, you know.’ an exasperated Doctor tells Ian when he disagrees that the ‘Police Box’ he has just entered is in fact a space and time machine. Ian took sometime to come to terms with the concept of time travel and he is still unconvinced that The Doctor and Susan are telling the truth even after the TARDIS materialises in a strange alien environment ("An Unearthly Child"), continuing to sometimes have difficulty processing the complexities of time travel on some occasions. A particular example of this was when he took some time to register how far back in time he’d gone during a trip to Venus, believing that the natives intended to invade Earth before he fully recognised that he was over three billion years in the past ("Venusian Lullaby"), while on another occasion he was attacked by a group of people on a visit to China, prompting The Doctor to conclude - much to Ian’s confusion - that the attack was the result of actions Ian would take in his future on a trip to the past (Although it was later revealed that the men had actually mistaken Ian for his own great-grandfather rather than his future self) ("The Eleventh Tiger"). He also took longer than Barbara to trust The Doctor and was initially at odds with him. 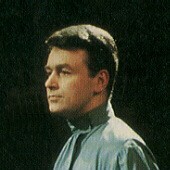 However, as the series progressed Ian settled into the idea of being a 'wander in the fourth dimension' and he even started to enjoy himself, commenting once that the only thing he didn’t actually enjoy about his time in the TARDIS was that he hadn’t had a choice in starting his journey ("Venusian Lullaby"). Ian was the classic old-established mould of the British gentleman and one of a breed of heroes who had courage in abundance, as seen most evidently on his first trip to another planet when he actually entered a Dalek casing to pose as a Dalek while attempting to escape ("The Daleks"). Whether aiding the resistance against the Daleks ("The Dalek Invasion of Earth"), or posing as Robin Hood to ensure that history unfolded as it should after Robin was killed ("The Thief of Sherwood"), Ian did his duty, showing great respect, to those around him and especially Barbara and Susan who he regarded as his duty to protect. Even though he had a good sense of humour he did have a tendency on a number of occasions to lapse into juvenile behaviour. Ian though wasn't stupid or gullible. His feelings for his fellow travellers were always a vital motivation in his willingness to become involved, even coming to respect The Doctor even if his attitude sometimes frustrated him. He cared deeply for Barbara and certainly they seemed destined for each other, if only because of the many of their shared experiences, but there was never any sign of any romance between the two of them in the television series (Although the novels featured such moments as the two consummating their relationship during their time in ancient Rome ("Romans Cutaway") and Ian agreeing to marry Barbara when they finally got home ("The Eleventh Tiger")). Ian's most predominant characteristic though was his narrow-mindedness and inability to see things from a more liberal point of view. This did though improve with time. Even though he was fairly easygoing it was very difficult for anyone to get the better of him. Despite not being naturally heroic he saved the lives of his fellow time travellers on many occasions, such as when he dived into a swimming-pool to save the currently drowning Susan despite the gunfire taking place around them ("City at World's End"). He would always become well involved in the adventures he found himself in and often became peacemaker. He frequently saved the day proving that he could use both his athleticism and intellect to great use when needed, such as when he deduced that the time travellers find the tomb of the First Emperor of China - the location where the alien intelligence known as the Mandragora Helix would arrive on Earth - by finding a nearby water well on the grounds that the builders would have needed water ("The Eleventh Tiger"). Fittingly, with his training as a teacher, Ian was practically minded and he did not resort to using violence unless it was justified in difficult situations, although he did acquire some training in areas of combat such as sword -fighting over time. He relied on thinking of a logical way out of a sticky situation. This was well demonstrated in "The Dalek Invasion of Earth" where he used his brain and ended up playing a vital role in defeating the Daleks. Despite the increase in his knowledge and understanding due to the many varied locations that the TARDIS took him to, like Barbara, he really wanted to be able to return home as they felt it was time to get back to Earth to resume a normal lifestyle. It was therefore no surprise when the opportunity arose, in the form of a Dalek time machine, that he and Barbara did not hesitate to persuaded The Doctor to make it possible for them to use it to return home to London even though it is clear The Doctor wanted them stay. The fact that they arrived two years after they had left did not worry them in the slightest, both just glad to be home ("The Chase"). Shortly after their return to Earth, Ian and Barbara were abducted by an alien race and trapped in a psychic prison that reverted them back to just before they left Coal Hill School to follow Susan, until they were rescued by the Eleventh Doctor after their prison’s psychic energy caused chaos on a ship that he had just landed on ("Hunters of the Burning Stone"). Although Ian in particular doubted The Doctor’s claims to be the same man due to his youth and the TARDIS’s greater reliability, the two joined The Doctor in investigating the origins of their psychic prison and the metal that made it, eventually learning that a race known as the Prometheans had abducted Ian and Barbara due to their role in influencing the Tribe of Gum ("An Unearthly Child" aka "100 000 BC"), the Prometheans attempting to establish themselves as gods before the TARDIS crew inspired the Tribe of Gum to seek their own destiny. With The Doctor having used the Prometheans’ equipment to impose mental barriers on humanity that would prevent the Prometheans influencing them, using the TARDIS as a protective image in the human subconscious, he took Ian and Barbara home, subsequently serving as Ian’s best man at their wedding, assuring his first companions that he valued his time with them as they had helped him become a better person, citing such moments as Ian’s compassion for a caveman when The Doctor had been willing to kill him. Ian and Barbara were later indirectly reunited with The Doctor when Ian was hired by UNIT to serve as a substitute scientific advisor while the Third Doctor was away ("The Face of the Enemy"), where it was revealed that Ian had taken a lecturing position at the Royal Aircraft Establishment's technical college at Farnborough after his return to Earth, as well as participating in a year-long exchange with NASA, during which he did some consulting work on the US stealth project; his time with UNIT saw him working with fellow companion The Brigadier and The Doctor’s old enemy The Master to prevent the invasion of an alternate Earth. The Seventh Doctor and Ace encountered alternate versions of Ian and Barbara during their brief arrival in an alternate 1963 where the actions of The Valeyard had released the Dark Matrix upon Earth, the alternate Barbara helping The Doctor track down the point where history had diverged before his departure ("Matrix"). 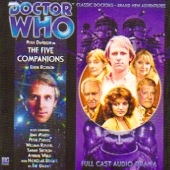 During the Game of Rassilon ("The Five Doctors"), Ian was reunited with The Doctor when he was abducted along with later companions Steven Taylor, Sara Kingdom, Polly Wright and Nyssa ("The Five Companions") and trapped in an alternative Death Zone, where they were caught up in a conflict between the Daleks and the Sontarans. During this struggle, Ian briefly repeated his old feat of escaping from the Daleks by hiding in a Dalek casing, and expressed shock when he met with the now considerably younger-looking Fifth Doctor, even if he still accepted this man as his friend before they were all returned to their own times by the Time Lords. The TARDIS has arrived in 12th-century Palestine and The Doctor and his companions realise that they have arrived in the middle of a Holy War between King Richard the Lionheart and the Saracen ruler Saladin. They also uncover a plan by the Saracen leader, Emir El Akir, to ambush Richard the Lionheart, during which Barbara is abducted by the attackers. When The Doctor, Ian and Vicki arrive at King Richard's palace, in the nearby city of Jaffa, at first the King will not help with Barbara's rescue but he relents and Ian is granted permission to ride off in search of her. Ian is also granted a knighthood - and so becomes Sir Ian of Jaffa ("The Crusade"). During a trip to China in 1865, Ian was briefly attacked by locals who appeared angry at him for something that he had yet to do, but later events revealed that they had actually mistaken him for his great-grandfather, William Chesterton ("The Eleventh Tiger").